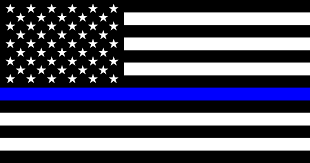 Black Rifle supports 'Blue' Lives Matter! The very foundation of Liberty is at stake in our country. After a tour in the Marine Corps (89-96) I went back to Cali. When my wife and I had enough of socialism and stupidity in our local Sanctuary City, we set our sights on the Pacific Northwest landing in Northern Idaho in 2006. After years in the real estate industry and tired of the liberal snowflakes in our genre, we decided to open Black Rifle Real Estate Company and partner with Survival Retreat Consulting to form the ultimate Strategic Relocation Team. We personally service local clients in northern Idaho. For Clients outside our service area we refer them to Patriotic Real Estate Professionals NATIONWIDE. In addition, If you're a veteran and want to join us, drop me a line. The alt-left tyrants are mounting their next assault on our freedoms and part of our fight to win the battle is to ensure our hard earned money stays in the Circle of Liberty. The Circle of Liberty: The goal of our firm is to ensure that money earned in your real estate transaction stays with professional agents that support your Constitutional rights. In real estate transactions the Seller normally pays a fee to a broker/agent to list their property, and it's shared with a Buyer's agent. You can be assured that when you're contacted by one of our Black Rifle Real Estate Referral Agents that they themselves are firearm owners. Our referral agents are made up of Veterans, Black Rifle Connoisseurs, NFA / Class 3 Weapon Owners, Concealed Weapon Holders (CCW/CWP), Cowboy Action Shooters, Collectors, Firearms Instructors, Gunsmiths and many more. We have interviewed and approved agents that meet our stringent qualifications for education, licensing, professional ability and expertise. Our pool of approved agents work for both Black Rifle Real Estate (in-house) and many of the most prestigious real estate firms in the world. Our extensive network allows us to refer you to an agent on the 'inside' that has been vetted as a Liberty-minded individual and 'one of us'. Luxury Homes, Condos, Waterfront, Land, Farms, Homesteads and Commercial properties. No matter what you are looking to Buy or Sell we have an agent that specializes in your type of property. Simply contact us and we will schedule a meeting to assess your real estate needs. When you choose to work with us you can be assured that the money we earn will stay in the Circle of Liberty!